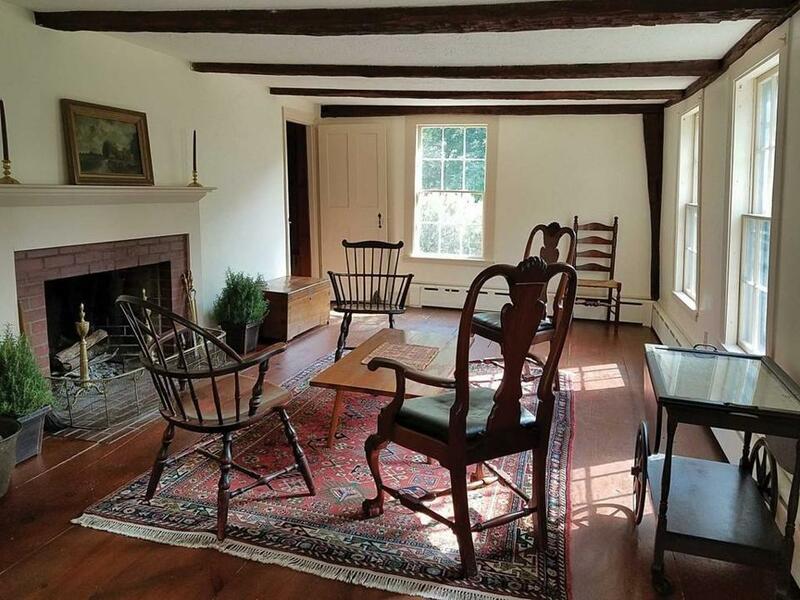 An 18th-century gambrel and a 1985 contemporary west of I-495. 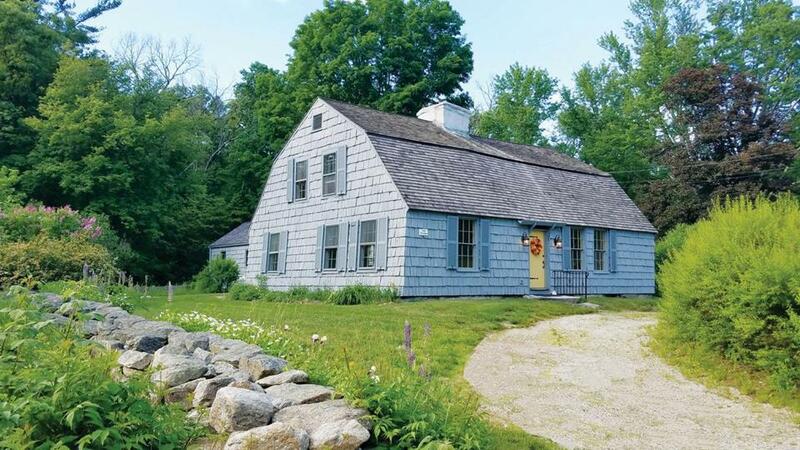 PROS Fieldstone steps welcome visitors to this circa-1750 gambrel Cape with gunstock posts, exposed beams, and wide pine floors. Upon entry, there is a dining room at right and a large living room at left, both with fireplaces. Around back are a small kitchen, a full bath, and a keeping room with an enormous stone hearth. A first-floor addition holds a master suite with full bath, great room, laundry, and den. Up a narrow stairway are two more bedrooms — one with a sitting room — and a full bath. The yard has a peaceful country feel, with a two-car garage across the street. CONS Low ceilings and small rooms typical of an 18th-century house. 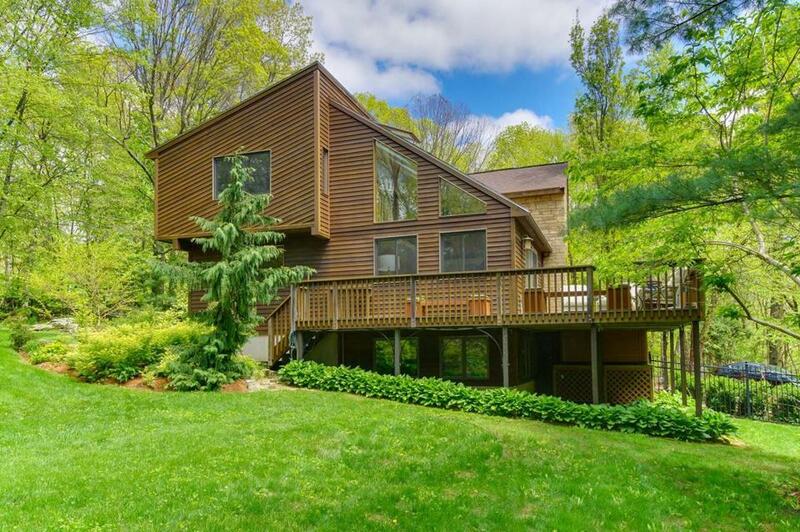 PROS Enter this 1985 contemporary and step up to a big living room with vaulted ceilings, skylights, and sliders to a wraparound deck with hot tub. 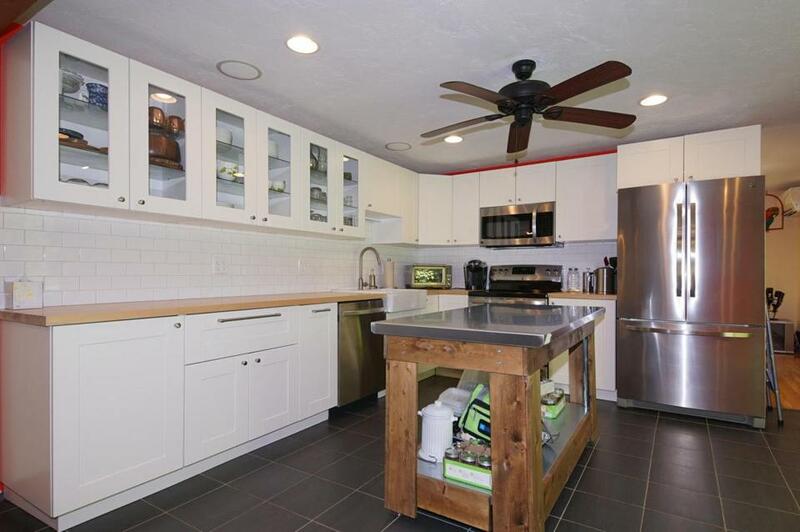 The updated kitchen has butcher block counters and stainless appliances, with sliders out to another deck in back. A family room with a fireplace and laundry closet is off the kitchen; a powder room is nearby. Upstairs, the master bedroom includes a walk-in closet and a full bath with double vanity and sliding barn door. Two more bedrooms share another full bath. Landscaped grounds incorporate secluded pathways through lush plantings and a gravel patio with a fire pit. CONS No entrance from garage to house.